In this post we will learn how to backup wordpress blog. Now, we can either backup the blog using an external service provider like Dropbox or by using the hosting provider’s own backup solution. In this tutorial we will focus on how to backup your wordpress blog directly to Dropbox. Taking regular and frequent backups is an important aspect that every site owner (webmaster) must do! It provides a chance to immediately recover the blog when things go wrong. The problem usually occurs when the webmaster is more focused on the day-to-day workings of the blog and completely avoids taking periodic wordpress backups. The method that we are going to discuss here will help you to secure your wordpress blog automatically. Saving the progress of your online creation is not only important but also critical in nature. Before we move on to the basic details of this method, we will have to install a plugin developed by Michael De Wildt. 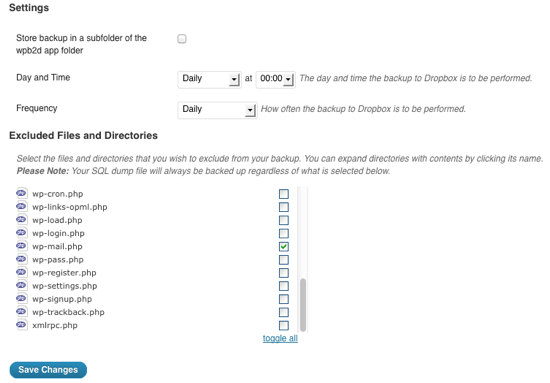 The plugin helps to sync the backup for your wordpress blog with the Dropbox account. The main advantage of this plugin is that once it has been configured then it works on its own! To install the plugin head over to your WordPress Plugins Directory and search for “WordPress Backup to Dropbox” and install it. If your having problem to find it then visit WordPress Backup to Dropbox Plugin. Now after activating it, you will find a new panel known as WPB2D in your WordPress Dashboard. Now we need to Authorize our Dropbox account so that after we have configured the plugin, it can automatically backup wordpress blog files in our Dropbox account. Once we have Authorized it, we will see the Backup settings. 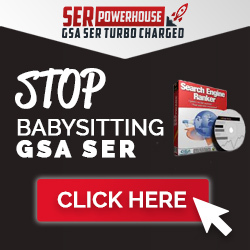 We can configure this plugin to any frequency we want – Monthly, Weekly or even Daily. Once that’s done we will have to select the folders or directories that will be scheduled for periodic backups. In case you are feeling unsure of which directory to choose just select wp-admin and wp-includes folder under the Excluded Files and Folders option in the WPB2D plugin settings. The Plugin will automatically backup all the posts and wordpress data in a SQL Database file. However, at this moment it will be stored temporarily in a backup directory located inside the wp-content folder. Then it will transfer all the backup wordpress data to a folder named “WordPressBackup”. So that’s it you will have a complete backup of your wordpress blog right inside your Dropbox account. Now, you might be thinking that what happens when I edit a particular post? The plugin is intelligent enough to notice that and it will also update the changes in the respective backup file.